Bicycle rickshaws are one of the most popular means of transport in Bangladesh. They are cheap, fast and ecological, characterized by rich colors and decorations. At the beginning they did not meet with the enthusiasm of the residents at all. In 1919, they reached to the city of Chittagong from Myanmar (Burma) and became a local singularity. In the late 1930s, rickshaws from Calcutta (now in India) were brought to Dhaka (today’s capital). Currently, 280,000 bicycles rickshaws are registered in Dhaka, but it is estimated that there are actually over 700,000. What distinguishes Bangladeshi rickshaws are decorations called rickshaw art. The sides and other metal parts are painted, while the hood is decorated with multi-colored canvas cutouts. Simple forms, sharp contours and vivid colors continue the aesthetics of local painting. After the themes and motifs, you can recognize which city they come from. Animals, landscapes and movie posters dominate in Dhaka, while the representation of flowers, birds and animals in Chittagong. The art of rickshaws is very ephemeral. Due to the harsh sun and heavy rain it is necessary to make a new decoration every year. Bicycle rickshaws are still popular in many Asian countries. At the beginning of the 20th century, they were used in Japan, and from there they spread across Asia. 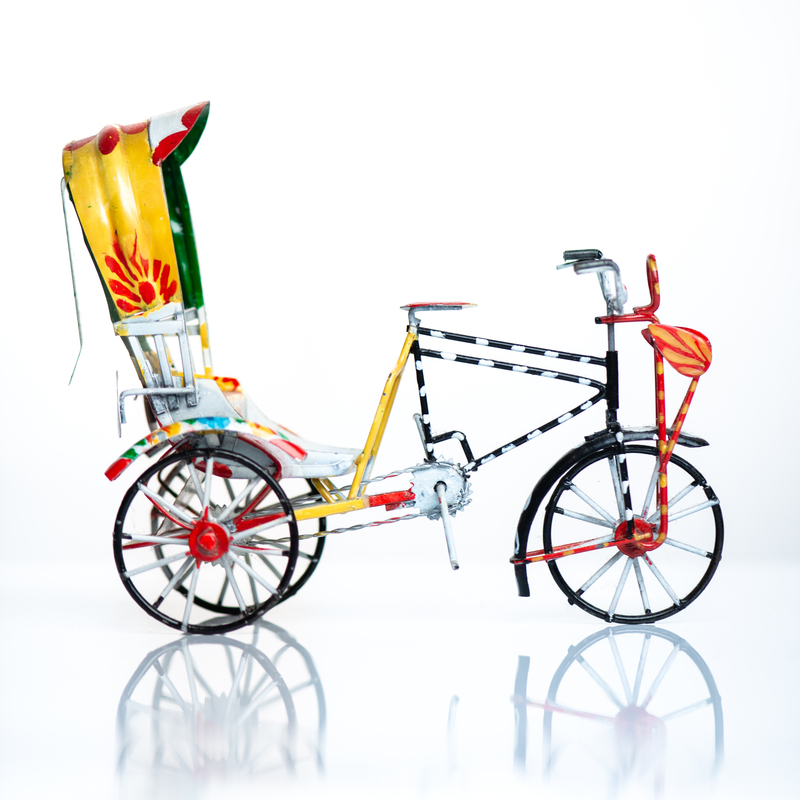 In the Museum’s collection there are rickshaws from Vietnam and Indonesia. The presented models come from the collections of the Bangladeshi Ambassador in Poland.